New turf field installed in 2015. New video scoreboard installed in 2017 along with new visitors bleachers for approximately 2,000. 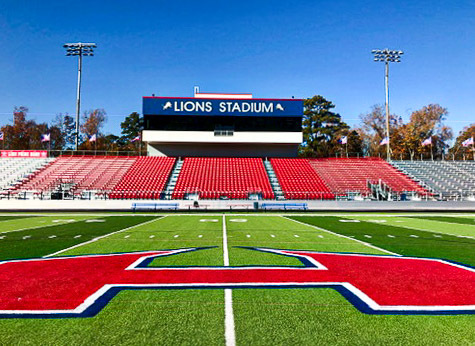 New home stands with 1,166 chairs, 1,146 chair back bleachers and roughly 1,500 bleacher seats opened in 2018. New field house with community room and restrooms opened in 2016. New Press Box opened 2018. New LED field lighting installed 2016. Press box, home and visitors stands, and field house all funded by generosity of H. Grady Ash Jr. Henderson High School Class of 1951.